The Secretary, Ministry of Corporate Affairs and Chairman, Board of Governors, IICA, Shri Injeti Srinivas witnessing the signing ceremony of a Memorandum of Understanding between IICA and Haryana Vishwakarma Skill University, in New Delhi on November 08, 2017. Delhi: Two Memorandum of Understanding (MoUs) have been signed between Indian Institute of Corporate Affairs, Atal Innovation Mission – Niti Ayog and Haryana Vishwakarma Skill University in Delhi today. Speaking on the occasion, Shri Injeti Srinivas, Secretary, Ministry of Corporate Affairs (MCA) said that this collaboration can become a good model on synergetic action. In his Concluding Remarks Shri Srinivas mentioned about the great opportunity provided by these partnerships on skill development and entrepreneurship, to align with the National Priority Areas. Therefore, the Secretary, MCA said that quality deliverables under these collaborations will go a long way in initiating and sustaining innovative approaches towards strengthening the enterprise movement in the country. With an aim of enabling millions and millions of Indian youth acquire necessary skills and contribute towards making India a modern country, India has launched ‘Skilling India’ as a multi-skill development programme on mission mode for job creation and entrepreneurship skill development for all socio-economic classes. 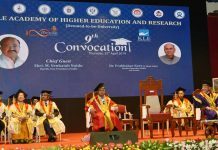 To realise this dream, upgrading skills to international standards through significant industry involvement and developing necessary frameworks for standards, curriculum and quality assurance are the prerequisites. Along with impetus on Skilling India, promotion of Entrepreneurship is being pursued by Government through ‘Start-up India’. Incubators plays a vital role as the incubation process not only provided the start-up with an inspiring environment, quality mentoring and a support structure, it also helped them refine their business model and get access to an economical, yet professional working space. IICA has explored ways to collaborate and undertake various activities to promote incubation/ entrepreneurship and innovation. 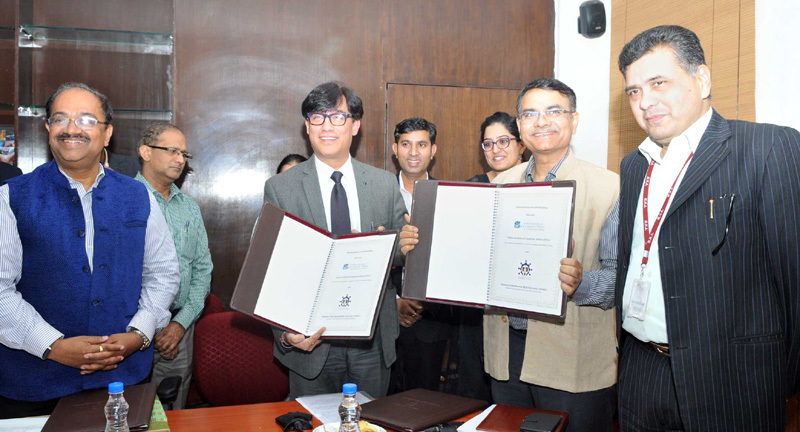 To facilitate activities such as capacity building programmes/ workshops/ seminar, research in area of incubation, innovation, skill development etc., IICA has inked the Statement of Intent with Atal Innovation Mission-Niti Aayog and the Memorandum of Understanding with Haryana Vishwakarma Skill University. These collaborations are likely to provide the opportunities for all stakeholders to participate and contribute to larger cause of incubation and skill creation.